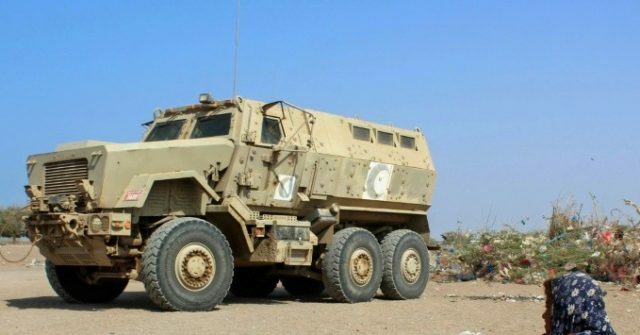 AFP — French weapons are being used by the United Arab Emirates and Saudi Arabia in Yemen, according to a classified note revealed by French media on Monday which contradicts the claims of France’s government. The note from the French military intelligence service, published by new investigative media outlet Disclose, concluded that the UAE and Saudi Arabia deployed French weaponry from artillery to ships in their war against Huthi rebels. Under pressure from rights groups in France over the sales, the Paris government has always insisted that French arms are only used in defensive circumstances to deter attacks by the Huthis. France, the third-biggest arms exporter in the world, counts Saudi Arabia and the UAE as loyal clients in the Middle East, its biggest regional market in 2017. Those two countries intervened in 2015 to support the Yemeni government against Huthi rebels, which are backed by Iran, in a war that has left around 10,000 dead and pushed millions to the brink of starvation. The UN calls the situation in Yemen the world’s worst humanitarian crisis. The classified note — provided to the French government in October 2018, according to Disclose — said that 48 Caesar artillery guns manufactured by the Nexter group were being used along the Saudi-Yemen border.